There's a definite creative slant to this week's Nintendo Download, with 3DS and DSi owners able to make something for themselves. Here's what's available to download from 2pm this Thursday. Block Factory (Enjoy Gaming, £3.60/€4) — A puzzle game in which you get to make your own variations on the block-dropping formula. We tried it a few months back, so read our First Impressions: Block Factory while waiting for our review. Inchworm Animation (Flat Black Films, 800pts) — One year and one day after its North American launch, Flat Black's powerful animation studio comes to Europe. If you've got the time and patience you can create great things, as our Inchworm Animation review explains. 2 Fast 4 Gnomz (QubicGames, 500pts) — Another run out for Qubic's garden guardians, see how it shaped up in our 2 Fast 4 Gnomz review. That's all for this week folks, but don't forget the 3DS system update is out on 25th April. No VC again? Now I'm a sad bunny. Not interested in any of these... what a shame. Might keep my eye on Block Factory but I'll definitely wait for a review. the eShop continues its horrible failure-spree. i bet my 20 Euro will be on my eShop account until the 3ds will end its lifecycle. way to go, nintendo. they are the only company that got an onlineshop with just crap inside. they do not even try. it is such a shame. i am seriously reconsidering the purchase of wii u. the signs nintendo gives are not promising. When the title said "worms" I thought you meant "Worms!" Not Inchworm. Boo. As interesting as Block Factory looks, I think I might pass. No one really knows how Block Factory is going to work out. But it looks like it has potential. Not to mention, people are buying these games Nintendo earned a ton of money from games like Link's Awakening, and Pushmo. I have no idea how the eShop is a "failure spree", it's got some really decent games out there, not to mention you have to give it a chance to pick up speed, I bet you anything that the eShop will start picking up in a few months from now, if not I will eat my own shoes. The devs just have to start getting out those VC games along with some decent 3DSWare. There's some good 3DSWare titles, but some of them are lame sauce. And yes, I know that VVVVVV is coming soon, but I'm impatient. Not sure yet on Block Factory. Will wait around for some reviews but fingers crossed it'll be worth downloading. Well, so much for that rumour from some german website about La-Mulana coming out in April 26th. Nicalis is seriously starting to act like some of the douchiest indie publishers out there at this point, why the hell are they so damn silent about the game? They kept hyping up Cave Story, VVVVVV, etc. but nothing about La-Mulana. Are they the publishers or not? So then no Metal Slug 3 in April then? I don't find any of this weeks releases interesting but Block factory and Inchworm animation could be good purchases for some people but they're not for me. It is disappointing that we only got one 3DSvc game this month but I guess it has been better for us on 3DSvc than it has been for America. With now Tetris Party Live anymore, it's Block Factory or Tetris GB for people who want falling blocks on their 3DS, but for the same price, BF looks like it does a lot more. It's not a bad update, and surely the last few weeks have been pretty good for fans of puzzle games, as well as those with an enthusiasm for art. I don't really fit into either category (bit of a platformer nut, to be honest), but it's been a solid run on eShop, generally. Why was part of my comment deleted? @fonistofcruxis don't worry nintendo life delete lots of things, they don't agree with freedom of speech! or the right for people to have an opinion. I waited a year for Inchworm and it comes out on the heals of Colors 3DS, which I'd much rather have. Their loss as far as I'm concerned. They waited too long and I've lost interest. No-one I know in NA is still using it, so I won't be getting it - at least not any time soon. I hope we get Block Factory in NA, because I think I could have a lot of fun customizing a game. Heh, heh, The Tetris Company is not going to be happy. They'll probably still try to launch some sort of bogus lawsuit over this game. In retrospect, I wonder if they allowed Tetris Party Live to lapse on DSiWare as some sort of protest against Nintendo allowing Block Factory onto the eShop — so wouldn't surprise me. Download Gameboy Tetris now before it disappears too, lol. Then I guess this week's "big game" for us Americans is block factory, then Bird Mania next. Oh well, we finally got 3D Classics: Kid Icarus, so I'm happy. @Myx What the heck are you talking about? There's some great games on the e-shop like Pushmo, Sakura Samurai, and Rolling Western. Just because the e-shop has been horrible for a while doesn't mean the good games never existed. 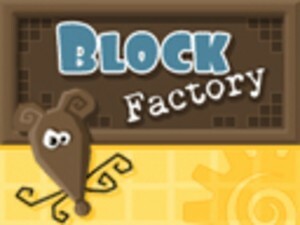 Nintendo World Report just said that Block Factory is also coming to North America this week. Block Factory is coming to america too? Nice, I kinda want it. I hope it gets reviewed fast. Yes! I love it when they release the games in NA and Europe simultaneously. I want some decent games. I want the secret of manas, the secret of evermores, the sorts of games to be found on smartphones (short but sweet); I do not want shovelware. I am in Australia, so we tend to miss out on a lot of features....not sure if that game is coming here? I love Nintendo, and I loooooove my 3DS, but it definitely concerns me that phones have the upper hand for gaming (at least at an eshop-level). The 3DS really needs to have an eshop to rival the smartphones. This is particularly so for adult gamers! @Reenie, phones DON'T have the upperhand on any part of gaming. The games you listed were built for controllers (buttons), and trying to convert them to a touch only control scheme simply doesn't work. They're so downgraded on phones they're nearly unplayable. Believe me, I have an iPod, and any retro games I've tried playing on it felt very compromised. You're not missing much. I've been much more satisfied with what I've gotten on eShop, than on the AppStore. RUSH RUSH RALLY RACING and 2 FAST 4 GNOMZ. so they came at the perfect time). Change your region settings. Australia is missing quite a few of the best DSi titles, like Shantae. Why has the eShop not been updated yet? It's 3:40 on Friday afternoon here, and usually it'd be up by early Friday morning. Is it just Australia, or all the PAL regions, or just me? @BenAV I checked the eShop this morning at around 7:30am but it wasn't updated (but I already knew that). However I can't seem to go on to the eShop at all now. It's 4PM but I can't go on anymore, keeps saying an error has occurred... Strange as it was working this morning. Anyone else having problems getting into the eShop in Aus?